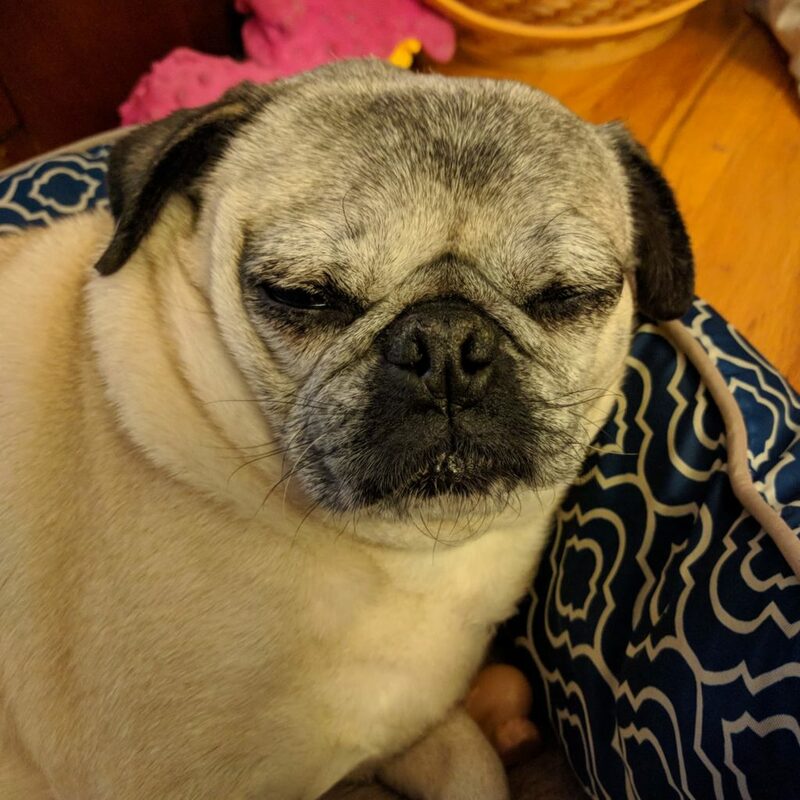 Nickie has never been much of a morning pug. After breakfast, she starts nodding off until she is sound asleep and snoring loudly. She’s also not much of an evening pug for that matter since she falls asleep pretty soon after dinner. However, Nickie is the best nap dog lap dog we could ever ask for!